Well, who doesn’t like shopping? Most of us do. Some of us are crazy shoppers and start to get cravings if we don’t shop for a long time. Contradictorily there are also some people who are not that fond of shopping. But still one has to shop to buy necessary items at least. For all the different kind of shoppers whether crazy ones or their reverse, online shopping has emerged as a revolution. It is accessible to all and very essential in usage. Online shopping is convenient as we can get any desired item while sitting and relaxing on our sofa without tiring ourselves. It is straightforward and uncomplicated. Many sites offer online market among which the most recognized and trusted site is Amazon.com. Sometimes what happens is that we like a few items online but find them a bit costly or less affordable. Right? And that is why we just escape those things which apparently doesn’t make us happy. Oh wait, don’t be sad. There’s a solution to every problem and hence to this issue too. You must have seen somewhere ‘Gift Card’ written while shopping online but just don’t have an idea as for how one can earn those gift cards. Right again? See I know you so well. Now I’ll tell you several ways to earn Amazon gift cards/cash/money. So, as we start, I must inform you that it is best to sign up for as many gift cards as possible because you’ll be getting monthly reward points from each company. So, the more you explore, the more Amazon gift cards you may earn and make your purchases more and more affordable and less burdensome on your pocket. I have listed ten best Android Apps & one website Cardgenerators to Earn Amazon Gift Card/Cash/Money with a short and sufficient explanation of how each app works for you. The first app that comes on the list is appKarma. It is an app that gives you rewards for your various activities. You can earn Karma Points through this app. These points are made by playing with apps and watching app trailers. One can easily redeem those points further for gift cards like Amazon, Google Play, PayPal, etc. You can share your invite link with your friends. Whenever someone downloads appKarma with your link, they will automatically use your referrer code. 30% of all the points they earn will be yours. Don't worry; they also get 300 points when they use your link or enter your referrer code. You earn rewards for playing through the app. Also, Karma Quizzes lets you answer quizzes about the app you downloaded for extra credit. If you have free time, then it's a good way to pass your time and earn credits for your future shopping. After redeeming your points, you get your redeemed points back in your account. And the best part is that Karma Points don't expire. AppBounty is available to download from Google Play, from which you can earn credits. Download AppBounty app from here to get bonus points. Download any of their free apps and then collect and earn free credit points from downloading. Redeem your credits and get amazon gift cards too. It's a fast rewards site to earn gift cards and enjoy your shopping! To earn and then redeem your free gift cards, just follow these simple steps. Download the FreeMyApps app from this link to avail bonus credits. After opening the app, verify your Facebook account. Download your first app from the various available apps. Launch it for 30 seconds. Go back to FreeMyApps app, and you can start earning credits! No, you won't receive money using this app. Cash for Apps is a fast way to get gift Cards and In-App Purchases. You’ll earn Amazon gift cards for downloading new apps on your mobiles. Download & install Cash for Apps from Google play store. Enter this invite code 3283540 in order to receive bonus points (90 points for iOS & 45 points for Android). Take your pick from the selection of apps and start downloading apps. Collect & Earn points for every app you download and test out. Redeem points for a gift card of your choice! GameTame is a renowned reward app to receive in-game items and various types of gift cards. Rewards can be earned by just completing tasks like downloading free apps, completing surveys, watching videos, etc. And just like other apps you can promote your invite code and earn extra points. This app is mainly an endowment for game lovers. As the name suggests, FreeAppsFast boasts a quick solution to obtain prizes by providing the best deal of points on downloading. Also, you can get free apps faster! Who doesn't want that? Just like other apps providing free gift cards, to earn credit through this app, you just need to download and try out new apps for free, or you can even download paid Apple App Store apps. Then you just have to redeem your points for various prizes and gift cards. It comes with a tagline ‘The App that Pays You Back.' You can earn points for checking into a shopping mall, grocery store. Scanning the items that you buy. If you are not going out for shopping, you can even recommend a friend to join CheckPoints and earn points. The earned points can be used to convert in Amazon.com gift cards. As the name suggests, just tap and loot the gift cards. The TapLoot's golden rule is easy. What you need to do is to complete certain tasks & offers like downloading free apps. You will be rewarded with gift cards from Amazon and more. After downloading the app, you are offered coins. 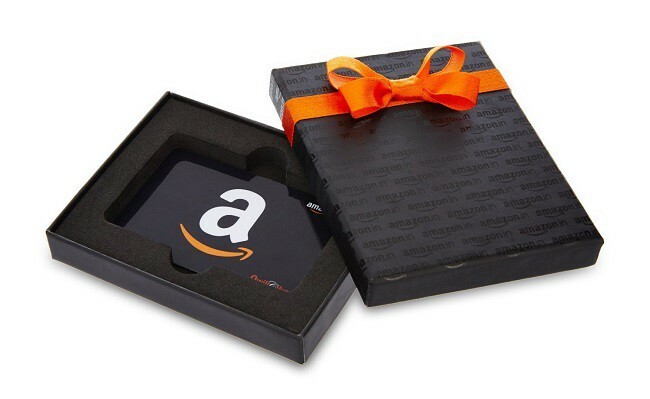 Coins can later be redeemed for gift cards from Amazon. Extra coins can also be earned. Just ask another person to sign up with your invite code. You earn 400 coins, and they earn 100 coins with this simple step. Everyone should save some part of the earnings, right? Ibotta is an app that gives you free rewards and helps you with your savings. You receive cash back on things you buy often. A $10 bonus is credited just for trying out the app. You just have to create an Ibotta account & Unlock the rebates and rewards. Then you can go for your shopping from the site, verify your purchases and then get cash. One can easily earn cash or gift cards for Amazon store. Ibotta is better than coupons as it pays you real cash whenever and wherever you shop. It's one of the most popular rewards programs that provides you free gift cards and cash for the everyday things you already do online. Earn points when you shop at your favorite retailers. Earn points when you watch entertaining videos. Earn points when you search the web. Earn points when you answer surveys. We all do these things in our daily life too. So it's not a big task. After that you can redeem points for gift cards to your favorite retailers like Amazon and Walmart or you can even get cash back from PayPal. With Swagbucks, you can earn Amazon gift cards every month with least amount of work for you to do. You just earn points which you can trade in to win Amazon gift cards. So now you have a list of 10 best Android Apps that help you earn Amazon gift cards, cash or money. To receive gift cards from all these apps, the steps to be followed are incredibly straightforward and untroublesome. You can use the app best suitable for you and enjoy the perks from your gift cards and extra points that you earn. So now you know a brainy way to do your shopping!